Whether you’re too busy or you don’t have an academic institution offering a quality travel agent learning program where you live, distance learning is going to be a great pick for you. Doing a simple online research will reveal the big number of options that the market has to offer but what does it take to select the right one? Let us face it – learning opportunities aren’t created equal. The reputation of the institution and the curriculum will both determine the appeal of the program. So, what does it take to get started? You may rely on the following list to discover some of the most reputable and practical travel agent distance learning programs. The program is 100 percent delivered online. There are two different modes – for entry level students and for travel professionals that already have some experience in the field. The first mode consists of 16 courses and the students receive a Travel Agent Certificate upon graduation. Professionals that already have experience and certification may choose among individual courses in an attempt to boost their competitiveness on the market. Some of the interesting courses that appeal to numerous students include selling vacation packages, the cruise market and small group tour leadership. Employment assistance counselling is also available for all students enrolled in the program. One of Canada’s oldest and most reputable educational institution has also put together a distance learning program for students that can’t attend regular classroom activities. 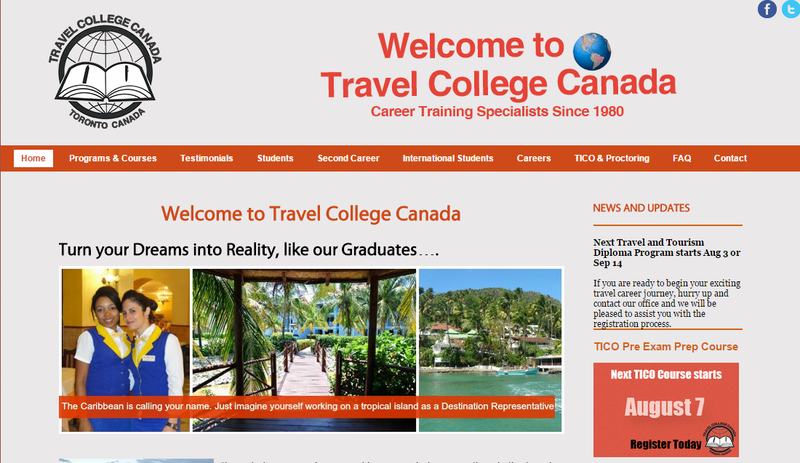 The Travel College of Canada specialises entirely in travel and tourism industry educational program development and as such, it’s the choice of preference for many individuals interested in obtaining travel agent certification. 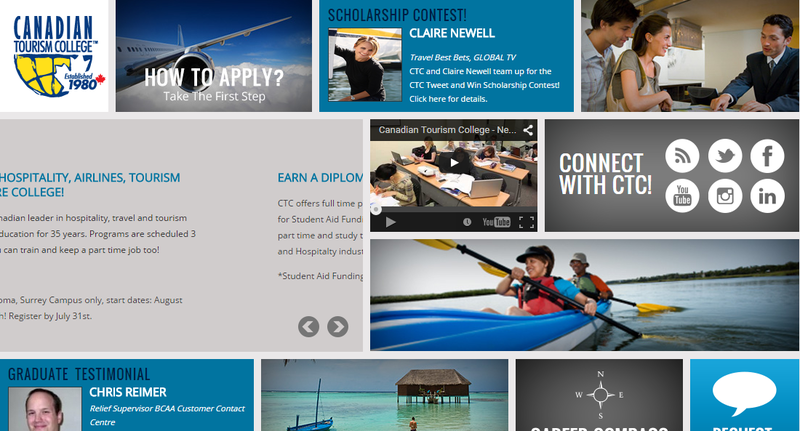 The Travel College of Canada’s distance learning program has a curriculum consisting of various interesting and practical courses. These include topics like corporate travel essentials, major tourist destinations, general security policy, public speaking techniques and understanding of domestic/international fares among many others. Canadian Institute of Travel Counsellors endorses the program, which is indication enough of quality and practical appeal. Algonquin Career Academy has been developing professional courses since 1981. The travel counsellor online program offers a lot of flexibility – students may decide to complete the entire course or they could take individual modules. The study materials have all been designed by the Algonquin Career Academy instructors and they’re included in the price of the distance learning program. Depending on the courses chosen, students will either get a travel counsellor certificate or a document verifying the completion of an individual module. Another program that is approved by the Canadian Institute of Travel Counsellors, the Granton Institute of Technology educational opportunity covers a vast range of topics that professionals in the tourism field will find to be particularly beneficial. Students will learn all of the basics – accommodations, tour planning, retail travel counselling and travel insurance. The program also covers more advanced topics like domestic and international airline ticketing and travel automation. 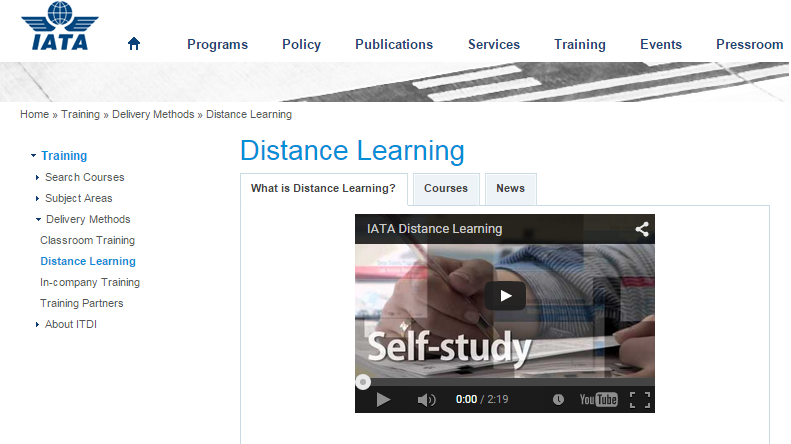 IATA is an internationally-recognised organization and as such, it has one of the most reputable distance learning programs in the travel industry. The professional development programs don’t focus solely on aviation. A great course for travel agents has been developed by the IATA instructors, as well. The IATA certificate is recognised worldwide, which is great for anyone interested in career development that goes beyond the local market. Students can choose among four distinctive courses – IATA global distribution fares and ticketing, travel and tourism level 1, travel and tourism level 2 – consultant and travel and tourism level 3 – stepping into management. The IATA website features detailed information about the curriculum of each course, the entry-level requirements and the type of certificate that will be obtained after completing the program. Take your time to compare educational opportunities side by side – your professional future will depend on the choices you make. Look at the curricula, the study materials you’ll get access to and the price of each opportunity. When opting for distance learning, stick to the bigger educational institutions and professional organisations that are accredited and certified. Getting a diploma from such a school will open many doors and enable you to establish a successful career.